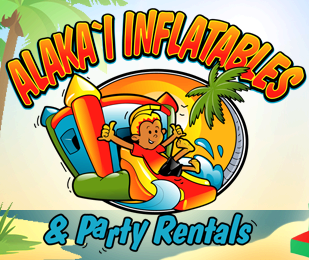 Alaka`i Party Rentals has a large selection of bounce house rentals available for our Oahu customers. Below you'll find the different styles, characters and themes. 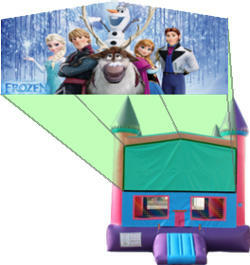 Choose the type of bounce house that fits your event or party theme by clicking on the link or image to view all the variations available in that category. If you have a special character theme, color or atmosphere desired, you'll find it here. The best bouncers on Oahu! This classic castle design bouncers are brightly colored in in pink and blue. Perfect for the little princess and her royal guests. Then you can choose from over a hundred different character graphics to customize your bouncer to your royal's desires. 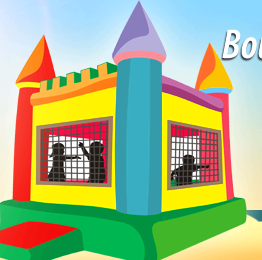 This style features a large 15ft x 15ft bounce area, with large netted vent windows to your bouncers cool, and allows parents to keep a watchful eye on activities inside. Four castle spires stand tall at each of the four corners. These are the original bounce house that started the moonwalk craze! Classic design, brightly colored in red, blue, and yellow. Perfect for any occasion, boys or girls, this unit fits almost anywhere. Customize with your favorite cartoon and movie character graphics and you're ready to party! This style features a large 15ft x 15ft bounce area, with large netted vent windows to your bouncers cool, and allows parents to keep a watchful eye on activities inside. 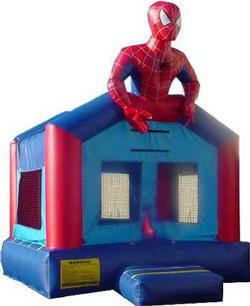 Fun Bounce house designs in all shapes, sizes and colors. Check the sizes if space might be an issue, or just choose the one that makes you smile. That's always a sure sign of the right choice. 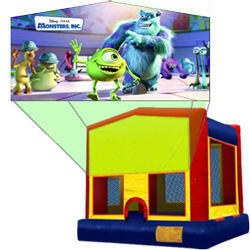 These bouncer house rental range in size from 13ft to 15ft bounce areas, and also feature large netted vent windows as in the custom character jumps .